Mechanical Pencil Graphite Leads And Eraser Refills In One Handy Dispenser. 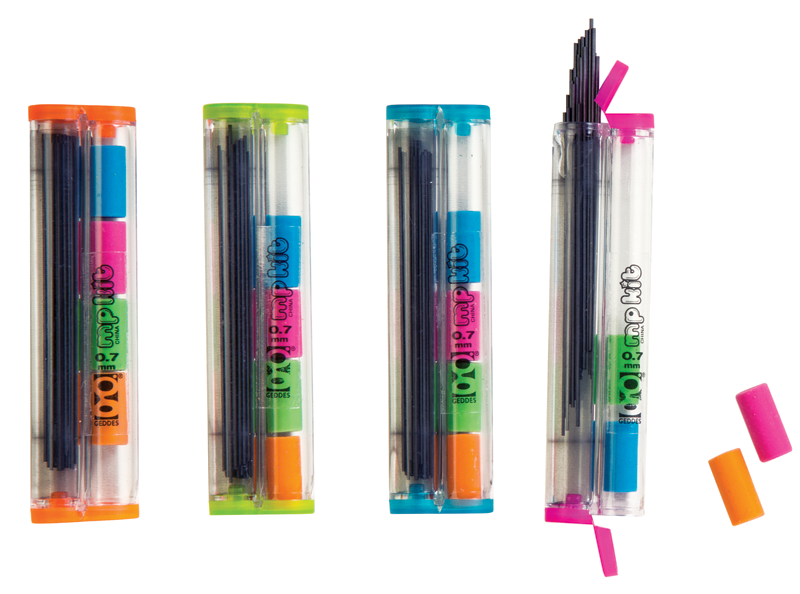 Each Dispenser Contains 24 0.7Mm Mechanical Pencil Refill Leads And 4 Erasers, Accessible Via A Hinged, Flip-Top Lid. Dispensers Are Clear With Pink, Orange, Green, And Blue Accents And Measure Approximately 8cm Tall.